PLEASE CALL 0121 444 3021 TO ENQUIRE ABOUT OUR PRICE. The oversized Astrel allows you to play easier with power.Compared to a conventional round frame, a square-shaped ISOMETRIC™ racquet generates a larger sweet spot by optimizing the intersection of the main and cross strings. 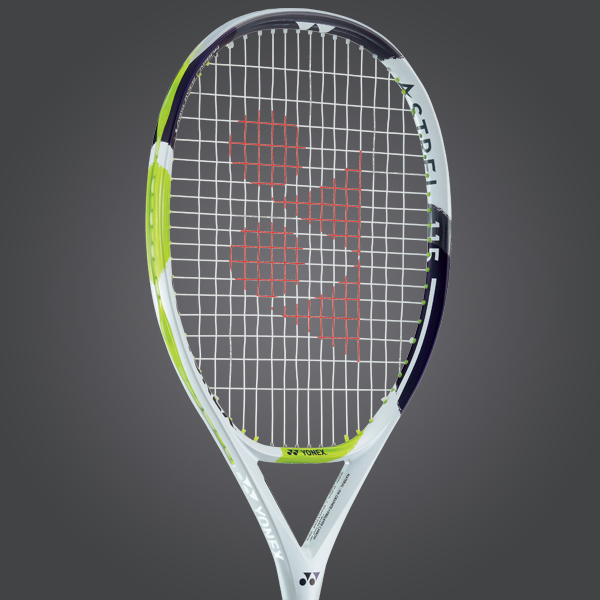 The YONEX ISOMETRIC head shape allows us to increase the number of main and cross strings that meet in the centre of the racquet to produce a sweet spot which gives a 7% more effective hitting area for you to make match winning shots.The shaft has been made with a cross-sectional design, resulting in a 15% increase in shaft stiffness, also cutting down on twisting at the throat. Free delivery available on Yonex Astrel 115! Order now! Do you own the Yonex Astrel 115?